A point-of-sale (POS) system is software that ties the sales, inventory, and management functions of any retail-type business into a single, streamlined system. Many POS systems can operate on just a single mobile device like a smartphone or tablet and can also drive one or more countertop registers, complete with cash drawers, scanners and receipt printers. 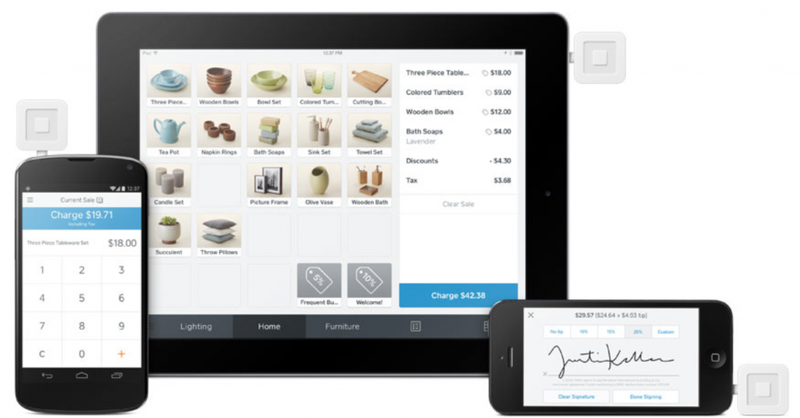 If you want to test-drive a top-rated POS system risk-free, sign up for Square. 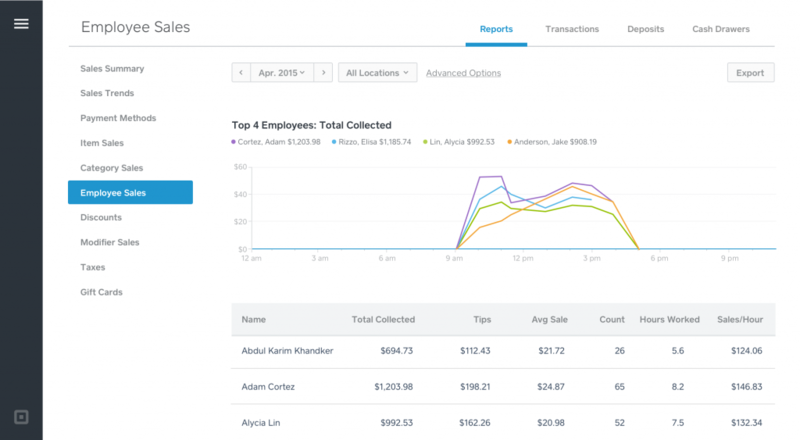 Square is a POS that is simple enough for beginners to easily set up and use, but sophisticated enough to automate tasks like generating sales reports and monitoring inventory. 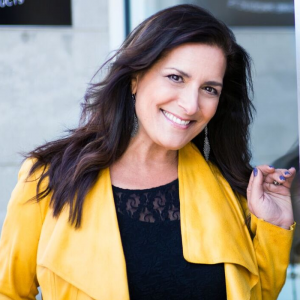 You can spend as much time as you need getting familiar with the system because Square has no monthly fees. Click here to sign up for free. This guide answers the question: What is POS and what is a POS system? We walk you through the features that most POS systems offer, their costs and which POS systems are best for certain business needs. Most POS systems are cloud-based and can use mobile devices like smartphones and tablets or Mac and PC computers to accomplish these tasks. 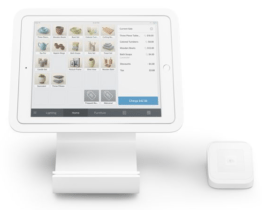 A quick tour of Square’s intuitive screens is the best way to understand what is POS software and how if streamlines retail sales. POS systems come in many price points, too. Some, like Square’s free POS, provide complete functionality using just a smartphone or tablet, so you can enjoy the benefits of a POS system with virtually no upfront costs at all. Then, as you grow, you can easily expand to run multiple countertop registers or even several store locations. 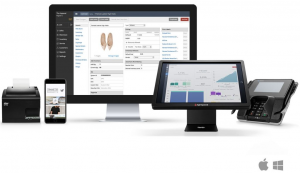 Others, like Lightspeed POS, have monthly fees to access the software but offer a more advanced set of tools like detailed advanced inventory and employee tracking capabilities. Free or paid, all POS systems deliver a basic set of features that help you oversee every aspect of your business. Here’s a look at ten ways a POS system improves your daily workflow and simplifies overall business management. A POS system creates a quick and seamless checkout experience for your customers. At checkout, staff can add items easily to a sale via bar code scan or touchscreen entry. Totaling the sale happens instantly and coupons, loyalty points or other discounts can be applied at the touch of a button. Square offers retailers several sleek, economical countertop register options. It even accepts popular eWallet payments using its contactless credit card reader. To complete the sale, a POS system accepts and records check, cash, credit card and even gift card payments plus lets customers split payments any way they wish. Credit card signatures can be collected electronically or on paper and receipts can be printed or emailed, whatever the customer’s preference. POS systems automatically connect credit card transactions to your checkout process. This simplifies and speeds up your checkout procedures and end-of-day reconciliation tasks. Unlike a typical credit card terminal and cash register setup, with a POS system, you don’t run a separate end-of-day charge report and reconcile tickets to sales. It’s already done for you. POS systems also make it easy to accept credit cards wherever you make a sale. You can connect card readers to smartphones and tablets for mobile sales, accept online payments via your website or enter phoned-in payments using your POS system’s virtual terminal. All of this is above and beyond what you can do with a basic credit card terminal and cash register setup. If you want the freedom to accept payments anywhere you do business, POS systems deliver. Most have mobile POS apps, referred to as mPOS, which let you make sales, accept payments and handle other key business functions from your smartphone or tablet. Many, like Square, are complete mobile-based and work primarily on devices like iPads, iPhones and some Android devices. 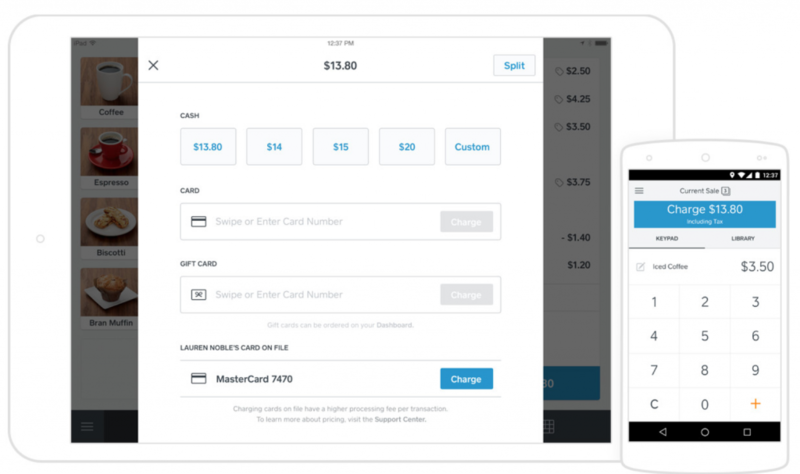 Square streamlines the checkout and payment process and even runs wirelessly on your tablet and smartphone for mobile sales needs. With these systems, your checkout functions all happen via card readers connected to a tablet or mobile phone, shown above. Plus, you can access your management dashboard and enter payments via a virtual terminal on any computer. Inventory features are one of the top reasons that businesses adopt a POS system. Virtually every POS system on the market stores key product data such as supplier information and wholesale cost; regular, sale and discount prices for items; variables, such as size or color; and current stock quantities. Some POS systems, like Square Retail and Lightspeed Retail, also offer advanced inventory features that help you manage purchase orders, track parts for assembly products and make intra-store stock transfers. Most POS systems also integrate your inventory data with various e-commerce platforms to automate real-time stock updates between your POS system and online sales channels. Simply put, if you need to track inventory anywhere, a POS will improve the process. What is POS? It’s more than a system for in-store sales. 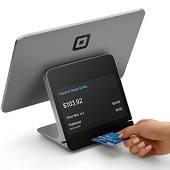 A POS system like Square connects your in-store, mobile and online sales within a centralized system. For retailers that want to expand their reach by selling on a website; through seller marketplaces like Amazon, eBay, Etsy; or via social media channels, a POS can make it all extremely efficient. POS systems let you record customer contact information and track every purchase down to the fine details. 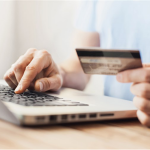 You’ll know what items each customer purchased and when, how much they paid, what payment method they used and even if the items were returned at a later date. This data is immensely helpful in overall sales management, but it also plays another important role by helping you fine-tune marketing efforts. Knowing who purchases what most often lets you craft targeted promotions like marketing emails and send them to the customers most likely to respond. Without a POS system, targeting buyers based on their purchasing history is nearly impossible. POS systems track every sale in detail, which gives you a wealth of data on which you can base key business decisions. Even the most basic sales reports tell you which items are your top sellers and slowest movers to help you make informed purchasing decisions. Sales tracking also helps you pinpoint and predict seasonal upticks in certain categories or overall sales so you can plan your inventory and staffing to meet your busy cycles. Many POS systems let you track sales by employee for commissions or internal rewards programs. What is POS? Point-of-sale systems like Square deliver a full suite of detailed reporting tools that help target your marketing efforts, track costs and more. POS systems offer a variety of employee management tools. Employee sign-in, basic timekeeping, scheduling and commission tracking are found in the basic features of most POS systems. For added fees, you can access or integrate a complete payroll management within your POS to centralize all of your sales, business management and payroll tasks in one system. For example, you can turn on Square’s built-in payroll features for $29/month and $5/month per employee. Others integrate directly to a number of top payroll providers like Lightspeed POS and Gusto. Most POS systems offer either built-in email marketing tools and if not, they connect to third-party email marketing solutions easily. Either way, a POS system makes building an email list and keeping it updated a snap. When you’re ready to send marketing emails, you can use your customers’ order histories to target your promotions to those customers most likely to respond. Tying your order history to your email campaigns helps you create far more effective campaigns and a POS makes it all possible. Customer loyalty programs take marketing a step further than email marketing by giving your customers an ongoing reason to frequent your store. Loyalty programs work a number of ways. You can use one to build points toward free gifts or discounts or to offer members special treats like early-buy events, coupons or appreciation days. However you set yours up, it’s all managed easily in most POS systems. 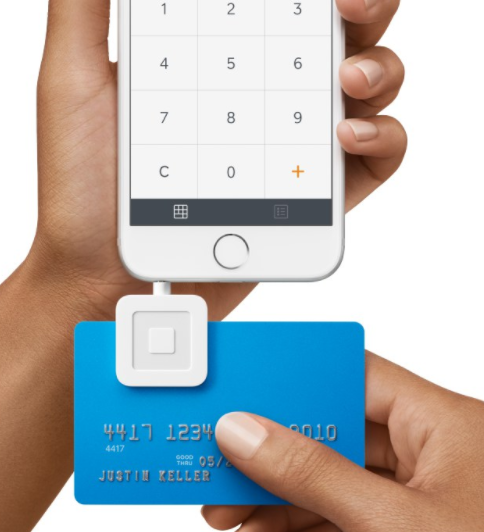 Some, like Square, provide a built-in loyalty program for a modest monthly fee. Others, like Lightspeed and ShopKeep, integrate with a variety of third-party loyalty program options. 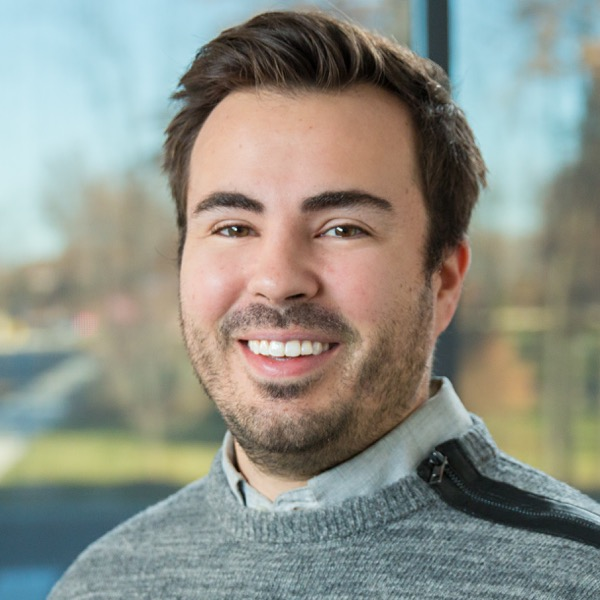 “Square is a game changer recordkeeping-wise. We get to see which product category sold best that day and salesperson totals for commission. It also has a loyalty program built into it. I used to have to keep all the tape rolls from my old register — now, sales data is a click away. When I need to give my accountant my tax information, I can just pull it online. Keeping notes on customers has become really easy as well. For example, we have a refill program in place and people can prepay and save money. 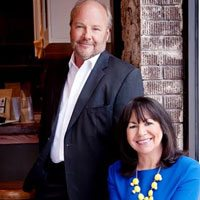 We manage it all right on the register — no other paperwork necessary.” — Roberta Perry, Owner, ScrubzBody. When you consider everything that a POS system offers, it’s amazing to know that some POS systems actually are free to use. Plus, the paid versions all offer free trial periods, so there’s nothing stopping a seller from test-driving one or more POS systems risk-free. Next, let’s explore what specific top-rated POS system offer and cost so you can narrow your search to those that meet your budget and operational needs. There are many POS systems on the market — some are free while others charge monthly fees. However, POS system access is just part of your potential costs. Depending on your checkout register needs and the types of payments you accept, you might face startup hardware costs and ongoing credit card processing fees. Here’s a quick look at 10 top-rated small business POS system providers, their basic costs and the types of companies they’re best-suited for. Below, we examine other considerations such as hardware costs and credit card processing fees. As you can see, there are several free POS systems on the market. For small establishments, running a free POS system like Square on a smartphone or tablet can provide everything needed. 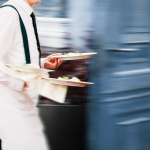 But, some operations might need specific features like advanced inventory tracking or restaurant workflow management. If so, a POS system with advanced features adds efficiencies that are well worth the monthly fee. Now, we’ll examine the two other expenses that potential POS users need to consider: credit card processing fees and checkout register costs. Credit card processors, commonly called merchant services providers, charge a fee for processing credit cards. This is in addition to any fees you pay to your POS system. But, remember, whether you use a POS system or basic terminal, you still have to pay credit card processing fees to your payment provider. So, using a POS system doesn’t necessarily increase your cost of accepting credit cards. It just makes the process easier compared to using a standalone credit card terminal. Some POS systems, like Square, actually include credit card processing as part of their service, so everything is built into one convenient system. Others, like Lightspeed, require that you connect your own merchant account. This requires more setup, but it allows you to price-shop different processors to get lower fees. Here’s a quick look at the cost differences between these two options. 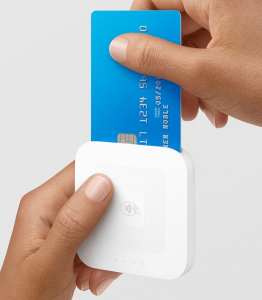 You’ll see below that Square’s all-in-one solution generally is the less-costly option for sellers processing under $30,000/month in credit card sales. 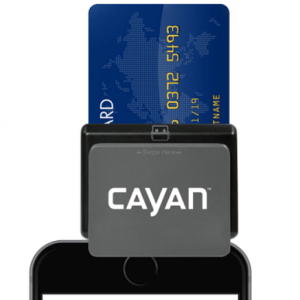 Over that amount, pairing Lightspeed POS with a low-cost payment processor, like Cayan, can save you money. You can learn more about your credit card processing options and the cost differences between different types of processors in our credit card processing guide. Most POS systems work on iPad, iPhone and some Android devices. If you already own one of these, you can start out with just a free credit card reader and few, if any, added hardware costs. 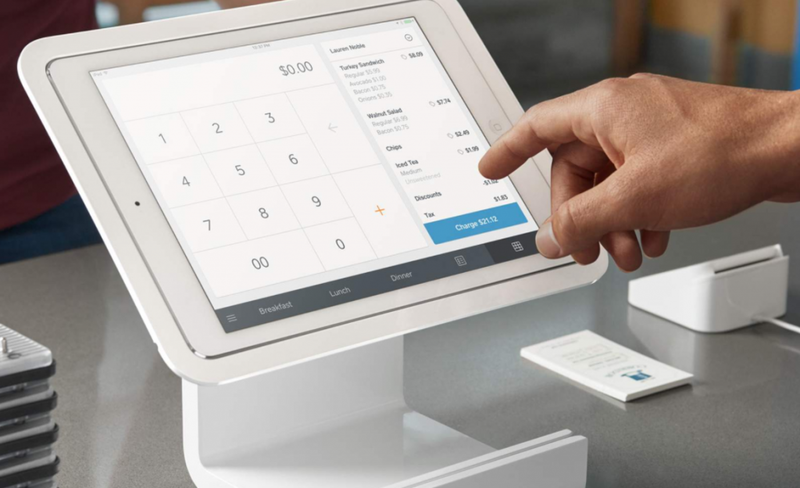 However, if you need checkout registers, cash drawers and receipt printers, those hardware costs can range from a few hundred dollars for a Square iPad stand, to several hundred dollars for a full POS checkout station. Here’s a look at some POS checkout register options and costs with startup-friendly Square and a more advanced POS system like Lightspeed. Visit our POS buyer’s guide for a closer look at hardware system costs, plus a detailed comparison of three top-rated small business POS systems: Square, Lightspeed and ShopKeep. “What is POS software and how can it help my business” is a question that many small sellers ask. Modern, low-cost POS systems provide a very clear answer: a POS system is something that ties your checkout processes to all other key store management functions. However, that really just scratches the surface of what POS systems offer. Both free and paid POS systems make it easy to make sales and accept payments anywhere, including in-store, mobile and online sales. Plus, POS systems directly connect your sales data and marketing efforts so you can create very targeted marketing emails, SMS messages and loyalty program offers to entice customers back for more. Inventory and staff management tools help you minimize shrinkage, spot errors and control costs across the board. Now that you’re ready to see how a point-of-sale system can take your business to the next level, try using Square POS. It costs you nothing to test-drive the system, and you’ll be mighty impressed by how it handles and how much heavy lifting you’ll no longer have to do. Sign up for free today. Do you use a POS system in your retail, restaurant or multichannel sales operation? We’d love to hear which POS system you chose, your implementation experience and how it’s working for you in the comments section below. Such a great article. Proud to be included! Thanks for your commentary — as you can see, it really helped to round out the piece! I have a small shop inventory management piece in the works and will probably send over a couple of questions if you’re game!